Whistle 3 combines GPS, cellular and Wi-Fi technology to give you the most comprehensive and accurate tracking nationwide. 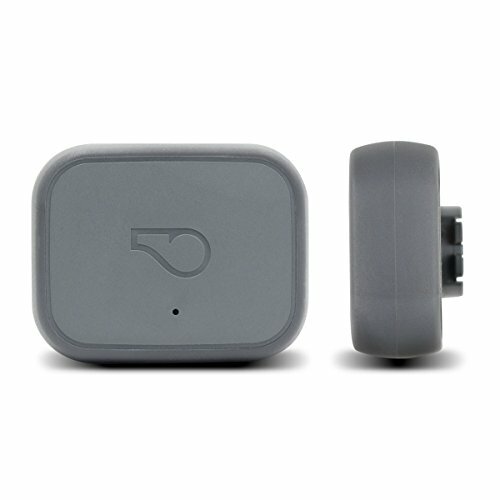 Meet Whistle 3-the best all-in-one GPS location and activity tracker for dogs and cats-Smarter pet care is here. Need additional support? Call us at 855-907-3348. NATIONWIDE LOCATION TRACKING: Whistle uses advanced GPS and cellular technology to pinpoint your pet's location anywhere in the U.S. on AT&T, America's largest network. SUBSCRIPTION PLAN: Whistle 3 is like a cell phone for your dog, so it requires a subscription plan for cellular connectivity. Plans start as low as $6.95/mo and are selected at activation in the Whistle app (no separate cellular contract required). Works with iOS 10 or later and Android 5.0 or later. PROACTIVE ALERTS: Get text, app or email notifications when your pet leaves their safe place, before they get too far away. Wi-Fi network required to set up safe places. TRIPS: Follow your pet's location over the last 24 hours to see where they went and when. MONITOR ACTIVITY: Track your dog's daily activity and rest to keep your companion in great shape for their age, weight and breed. BATTERY LIFE: Whistle 3 has the longest-lasting battery of its kind and can last up to 7 days. Battery life is impacted by the strength of your Wi-Fi and cellular coverage. Depends on usage and environment. Get notifications when your battery needs to be charged. Full recharge only takes 2 hours. DURABLE & WATERPROOF: Attaches to any collar or harness up to 1'' wide and designed to go anywhere with your pet, even swimming. Recommended for pets 8 lbs and above. SUPPORT FROM WHISTLE: Need help getting started? Call us at 855-907-3348. Note: The notches on the top and bottom of the back of the device are part of manufacturing process. If you have any questions about this product by Whistle, contact us by completing and submitting the form below. If you are looking for a specif part number, please include it with your message.